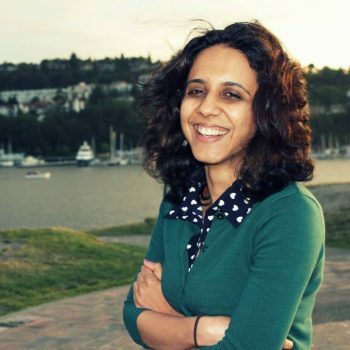 Afrin is a climate activist, student of yoga and Ayurveda, who grew up in Bombay, India, and is attempting to move toward living a zero-waste life. She has been practicing Iyengar Yoga for 3 years and completed her 200- hour teacher training with Richard in 2014. A traveler at heart, Bonnie enjoys the exploration of life. Her fascination in building foundation for self-sustaining health, community and culture has led her to the study of Nutrition and Culinary Arts at Bastyr University, massage therapy, and Iyengar yoga. Bonnie is the Guinan of your world. The moment you walk into her room, you reach the space of trust that honors the truth without judgment. And she gives just the right amount of guidance, so that you can unlock your own inner wisdom to restore wellness and balance. David has been practicing yoga since 2011. He completed the 200 HR Iyengar yoga teacher training with Richard Schachtel in 2013, and has built a strong personal practice since then. He continues his yogic journey under Richard's guidance. David has a background in martial arts and is a student of Ayurveda - the sister science to yoga. Gabrielle was introduced to her first yoga poses before she was 10 years old. Learning informally from her aunt, she began to practice at home inconsistently during high school. Since then, her interest continued to increase until she discovered The Center For Yoga of Seattle. She attended her first intensive with Richard in May 2012 and has been practicing ever since. Upon discovering Iyengar yoga, she realized the importance of correct alignment and formal instruction from an experienced teacher. She has completed the teacher training program and is apprenticing with Richard. Gabrielle is dedicated to Iyengar yoga because of an almost daily re-discovery of its transformative power. Gwen took her first yoga class in 1998 in Bellingham, WA. She caught the Iyengar bug big time, thanks to her first teacher Lauron Ray, now at Yoga Northwest. She feels extremely fortunate that her initial yoga exposure was in the Iyengar system and continued to study with Lauron throughout her six years in Bellingham. After moving to Seattle, Gwen began taking classes at the Center for Yoga in 2005, studying with a variety of teachers and finally enrolled in the year-long teacher training program in 2012. She continues her training with a second year in the program. Gwen appreciates that every body is unique and strongly believes that yoga can be tailored to be accessible to everyone. She enjoys the puzzle of making poses accessible to each student and guiding students towards progress in their more difficult areas. With a strong focus on safety, she strives to mark her classes with humor and lightness. Kathy has been studying Iyengar Yoga at the Center for Yoga of Seattle since 2003, where she apprentices with Richard Schachtel and is working towards her Iyengar Yoga Teacher certification. Kathy turned to yoga to rehabilitate a shoulder injury brought on by years of intensive rotator cuff activities such as gymnastics, swimming, Aikido, and playing guitar. This injury had side-lined her career as a musician and guitar teacher, but Iyengar Yoga has enabled Kathy to return to health and her livelihood, performing live with several bands and teaching guitar and piano lessons. Because of her own shoulder rehabilitation experience, Kathy emphasizes arm and shoulder health and injury recovery. She teaches with humor and compassion and loves to share the awareness that a regular yoga practice brings to the body, mind, and spirit. Kathy finds Iyengar Yoga to be a bottomless well of inspiration and knowledge. Kathy S has been practicing various styles of yoga since 1994. She found value in the practice of yoga as a means of addressing back issues she has had to manage throughout her life. Kathy became very interested in the Iyengar style of yoga due to its emphasis on discipline, proper execution, and accommodation of students of all levels. In November 2014 she completed the 200-hour teacher training at the Center for Yoga with Richard Schachtel. She recently completed a weekend workshop with Joan White. She looks forward to continuing her education in the Iyengar discipline. Richard is one of the most influential yoga teachers in the Northwestern United States. Originally certified in 1974 as a Sivananda Yoga Teacher, Richard has been studying Iyengar Yoga since 1976 and was one of the first group of Americans to be certified as an Iyengar Yoga teacher in 1984. Today Richard enjoys teaching all levels of students- beginners to advanced, and those with special needs. He conducts a number type of yoga teacher training courses and supervises an apprenticeship program. Many of Seattle area’s yoga teachers, as well as students from around the US, Canada, and Abroad, have received their teacher training with Richard. 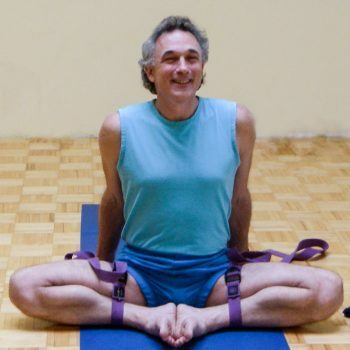 Richard has taught yoga in Seattle for 42 years and is a Certified Iyengar Yoga Teacher. Richard has studied 22 times in India with B.K.S., Geeta and Prashant Iyengar at their renowned Institute in Poona India where he has received training in Asana (yoga postures), Pranayama (breath control), Medical Therapeutic Yoga (working with students with injuries or medical conditions), and Yoga Philosophy. Richard has given guest Iyengar yoga workshops in Washington DC, Chicago, Alaska, Idaho, Texas, and Honolulu Hawaii. He and has taught in Australia and India. Richard has been on the teaching staff at several of the National Iyengar Yoga Conventions. Richard has worked for eighteen years as an Assessor for the B.K.S. Iyengar Yoga Association of the United States to determine which teachers are qualified to earn the Iyengar yoga teaching credential. He teacher trainings have been authorized Iyengar Yoga teacher training programs by the BKS Iyengar Yoga Association of the US. Richard first trained in India with B.K.S. Iyengar in 1980 and his 23nd India yoga study trip Richard is planned for winter of 2017. He continues to enjoy deepening his practice and sharing his many years of experience. Richard founded the Center in 1980 and continues to serve as its Director. He is Seattle’s most Senior Iyengar Yoga Teacher. Katy came to practice yoga from a martial arts background. Passionate about disciplined studies that involve movement, mind and spirit connection, she enrolled in a yoga class when she couldn't find a martial arts school to train in while living abroad. Upon her return to the States, she sought out Richard Schachtel and The Center For Yoga because of the high standards of teachers, the Iyengar style and teaching philosophy. After completing the 200 hour teacher training at The Center, she continues teacher training and apprentices with Richard to become a certified Iyengar yoga instructor. Katy is a licensed massage therapist. She believes yoga is a discipline that permeates all facets of life and is passionate about helping people discover how a regular yoga practice can serve and inspire them in bringing an embodied balance of mind, body and spirit. Kristina discovered yoga one day during her lunch break, after having spent the morning peering through a microscope. She wondered if she had grown 1-2 inches taller as she walked out of class! The space, flexibility, and calmness of body and mind that yoga brings seeped into all aspects of her life. Motivated and intrigued by Iyengar yoga's precise instruction and accessibility to all students, she hopes to help others experience what yoga can do for them. Kristina completed The Center for Yoga's Weekend teacher training in 2013 and is working to become a certified Iyengar yoga teacher. Laurie began her relationship with yoga over 20 years ago out of curiosity. Just one class a week cured her lower back pain and she was hooked. Her dedication to her practice has steadily increased from there. She completed her 200-hour teaching certification with Richard Schachtel in 2009 and he continues to be her main teacher. She is currently working on earning a 500 hour teacher certificate. Laurie considers yoga to be a bottomless science, philosophy and spiritual path that has been both the most difficult and most rewarding journey she has ever taken. Yoga has given her the balance, clarity, self-realization and perspective that make her life feel full and healthy. She hopes to share this passion with her students, encouraging them to discover their own expansive potential by focusing their minds and connecting with their bodies. Her teaching emphasizes breath as a means of linking the body and mind. She believes that yoga is for anybody, it’s about finding the right props to access the essence of a pose. Ragini started practicing yoga in 2008 with “Iyengar Yogashraya” in Mumbai, India with Senior Iyengar teachers. 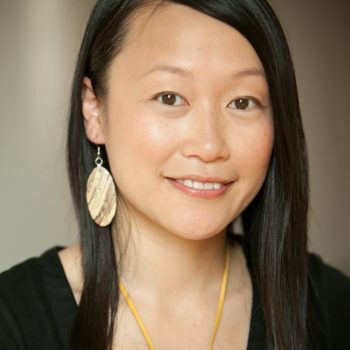 She has been an active student of “The Center for Yoga of Seattle” since 2014 and is currently undergoing teacher training and apprenticeship under Richard Schachtel. 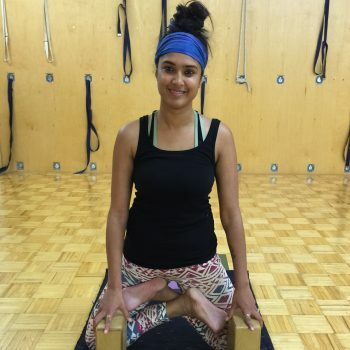 Ragini loves to share her passion for Iyengar yoga and in lieu of that she has performed yoga asanas on stage for Indiana State University in order to spread its awareness and the various physical and mental health benefits that are associated with it. She believes that home practice is important because it heightens self-awareness of the body of the “Sadhaka” (one who practice), which eventually helps in responding to difficulty and ease. She came to the United States in 2009 and acquired double master’s degree in Communication and Human Resource Development from Indiana State University. Vince Fratello's formal education is in physics and his day job is growing crystals for non-destructive testing applications. Vince has studied yoga since 1981 under principal Iyengar teachers Judy Freedman, Theresa Rowland and Richard Schachtel. He has also had the privilege of studying under many senior teachers and credits as his major influences Gabriella Giubilaro (24 years including teacher training and assisting), Lois Steinberg (13 years including therapeutics, teacher training and assisting), Patricia Walden, Dona Holleman, Faeq Biria, Ramanand Patel, John Schumacher, Kofi Busia and Roger Cole. He attended four Iyengar Yoga conventions under the tutelage of B. K. S. and Geeta S. Iyengar, whose teaching and writings inspire all his study and teaching. Vince assisted and apprenticed as a teacher under Judy Freedman for seven years and was certified Iyengar Introductory II in 1997. He has taught over 2500 yoga classes at Studio Yoga Madison, various YMCAs and adult schools, his workplace, his home and his church. These include approximately 500 Level III/IV classes for teachers and senior students, many short courses on pranayama, a number of short courses on body mechanics in yoga and two weekend workshops in Pittsburgh. He is sometimes assisted by his wife Karen, who has a Ph.D. in physiology, and they have written an unpublished introductory text on pranayama. Dexter began practicing yoga in 2011 as a way to heal the injuries to his body. He soon became fascinated with the depth of yoga knowledge and its power to transform the ordinary the state of consciousness into one that is completely awake. The first stage of his teacher training was completed under the supervision of John Wilson who has been practicing for nearly four decades. Dexter has continued to work with John every week since the completion of his 200 hour training nearly four years ago. His ongoing studies with John include asana, sequencing, pranayama, and a systematic analysis of the Yoga Sutras of Patanjali. The second phase of his instruction has begun with long time teacher Richard Schachtel and will continue for the next year. This additional 300 hours includes an apprenticeship with Richard and a focus on the therapeutic application of yoga asana. For Dexter, yoga is much more than a physical practice. It is a journey to discover the how the body, breath, and mind can be made to function in a more harmonious way so that calmness, clarity, and stability can emerge. Expect his classes to have a large variety of postures taught skillfully with everyone's needs and success in mind. Some of the teachers he has worked with and are inspired by are: John Wilson, Richard Schachtel, Douglas Ridings, and Jen Mullholand. Other yogis that he admires are B.K.S. 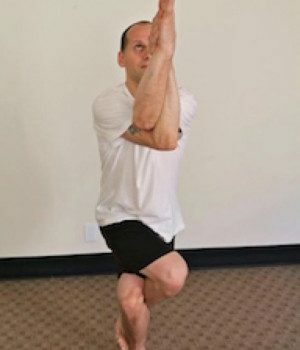 Iyengar, Richard Freeman, and T.K.V. Desikachar.